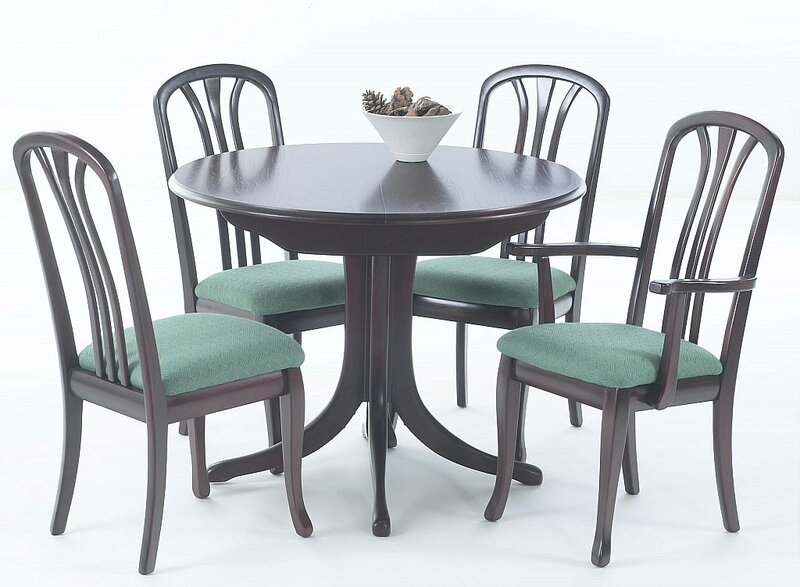 Mahogany dining chairs with padded seat. Size: H 96cm X SH49cm. I would like more information about Arran Dining Chairs by Sutcliffe.